Garry Kasparov is one of the best players in the world, or probably the best. He dominated in chess for many years, as world chess champion and in the top tournaments. It is important for every chess player to learn from the games of such an elite player to take their chess skill to next level. 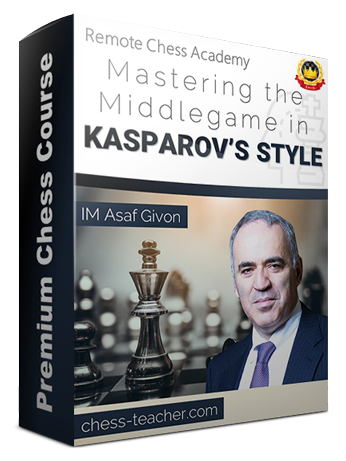 Say no more, the course “Mastering the Middlegame in Kasparov’s Style” by IM Asaf Givon is released today! 🙂 In this course, we tried to analyze his middlegame techniques and explain them with simple words to ambitious students, so anyone can incorporate those ideas in his/her own games. More specifically you’ll learn how to fight for the initiative, what the exchange sacrifice is and when to make it, how to sacrifice your pawns successfully and many more. 1) Who is Garry Kasparov? First, you can get this course with a massive 30% discount and save about $24 USD. Simply use the coupon “middle30” when purchasing the course. If you don’t know how to use a coupon, please see here. This is a limited-period offer and will be valid from today till Friday, 6 April (inclusive) only. 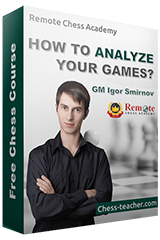 Second, you can save a whopping $49 USD and combine Kasparov’s winning techniques with my most complete Middlegame guide. 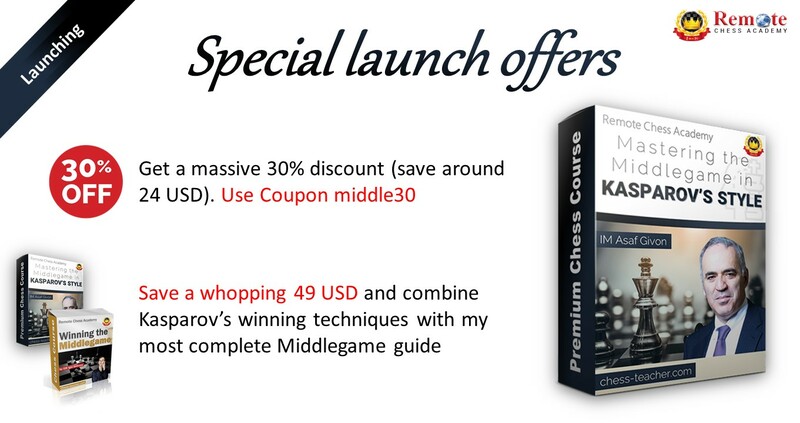 Yes, you can purchase the combo “Mastering the Middlegame in Kasparov’s Style “ and “Winning the Middlegame”. Also, the coupon “middle30” can be applied to the combo as well – so you make a total save of about $73 USD, that’s massive! I’d like to remind you that the course is not about Kasparov’s life, but about his (successful) game techniques and how any student can apply them to his game. 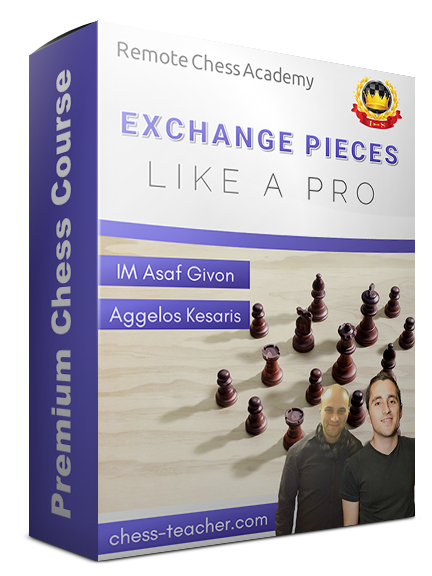 The course will also have an interactive practical part –“Test your skills” section, where you will be asked to find the best moves from Kasparov’s games, and the answers will be explained in video format. There are 7 practical tasks (over 50 games) in this course which will help you understand and remember the ideas of the course better. The training program has a detailed explanation on what and exactly how you should do the practical tasks.